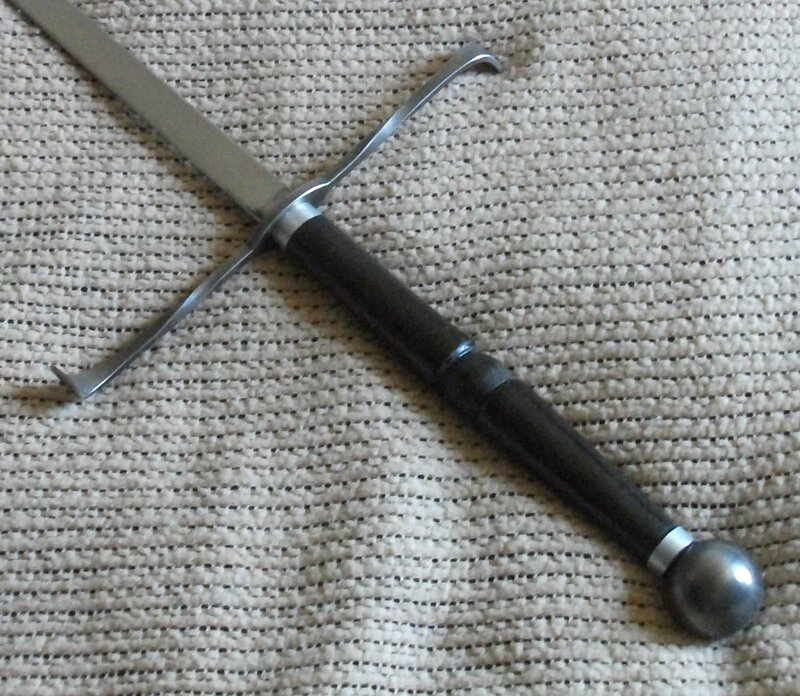 The above is a photo of a common historical variant of an estoc with a ten inch long Northern European grip. This is two handed and is an early type. The blade can have a length of up to 43 inches. With our longer blades, the pommel is our large 1 3/4 inch diameter 12 ounce ball. Our estoc has an 11 3/4 inch long cross guard. The slightly S shaped guard is bent in a plane 90 degrees to the blade, like a more open version of a katzbalger. This hilt is available on our Alchem rectangular rod tang schlager/rapier blade. grip finish (black, dark brown, or natural). when included, blade length (36 to 43 inches). Please note: If not specified, the defaults are gray, dark brown grip, 40".